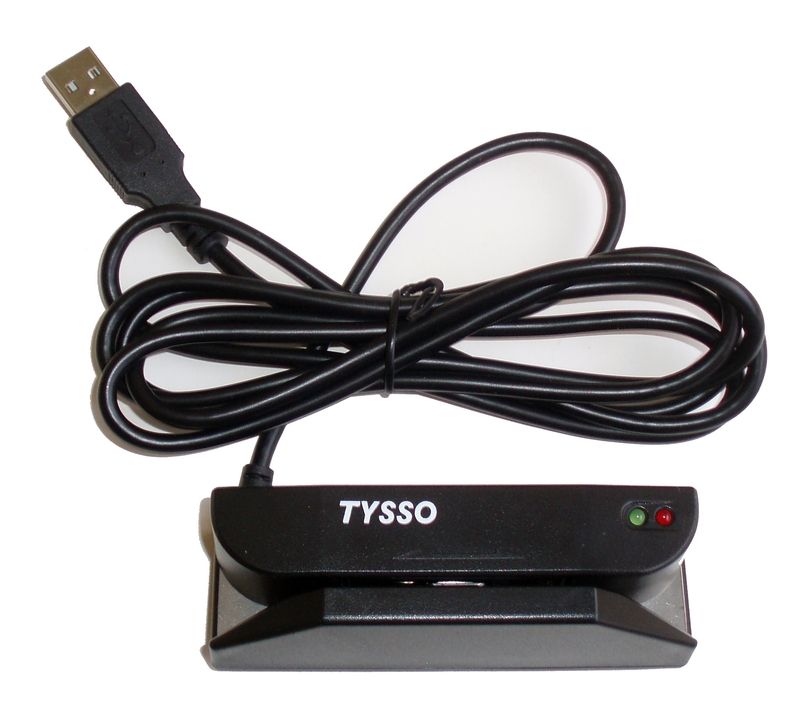 TMSR-380-33 is a compact decoded magnetic stripe card readers from Tysso. This device is 9.65 cm long and 3.22 cm high. 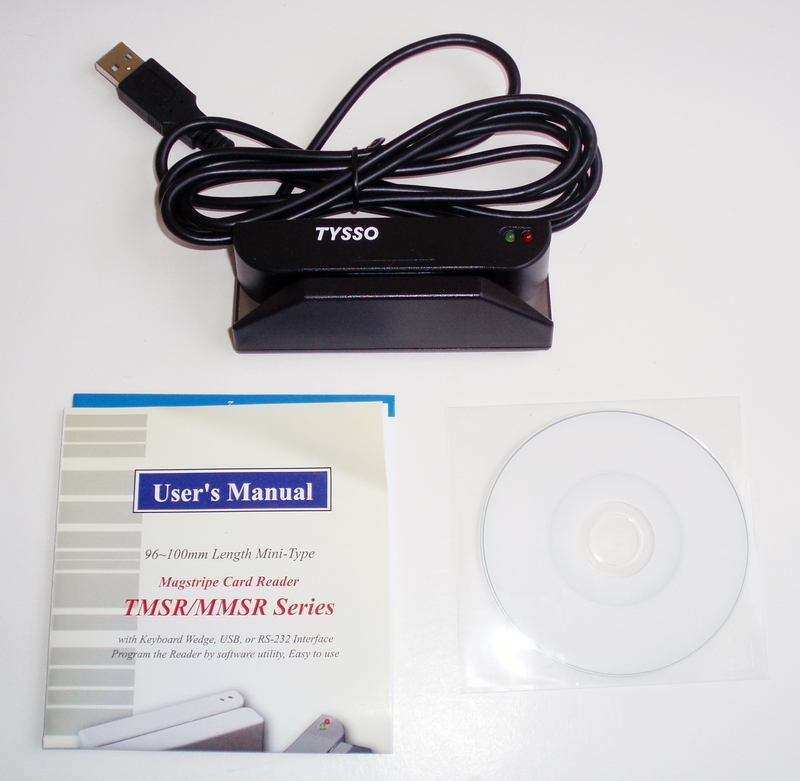 Designed with low power Mask IC and single-chip microprocessor technology, the TMSR reader does not only provide superior reading performance, but also is guaranteed more than 300,000 passes. 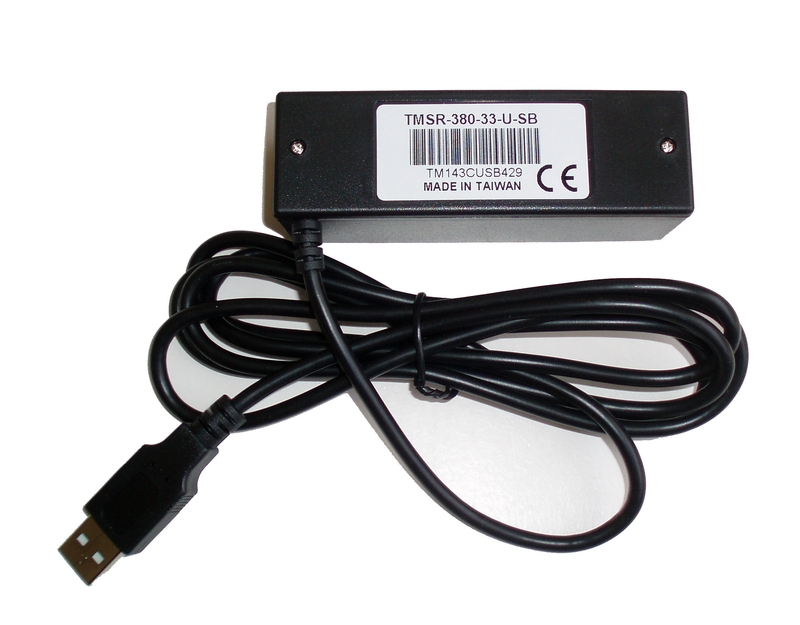 The reader is equipped with USB interface. Software settings are selectable for carriage return, sending start/stop bit, language/intercharacter delay for keyboard wedge communication parameters. You can also record the credit card / magnetic stripe card information onto your software programs such as Word and Excel. This device works like a USB keyboard. Following is a summary of the major applications of this device. Resellers welcome. Please contact us at sales@ruby-electreonics.com for quantity discount. Software utility setting, easy to use. Bi-directional card swipe and read capability. Software and hardware modification is not required. Single, dual and tripe track(s) decoding, meet with ISO standards. Card read confirmation by beep sounds. Magnetic head life: 300,000 passes minimum. Copyright © 2015 - 2016 Ruby Electronics. All rights reserved.